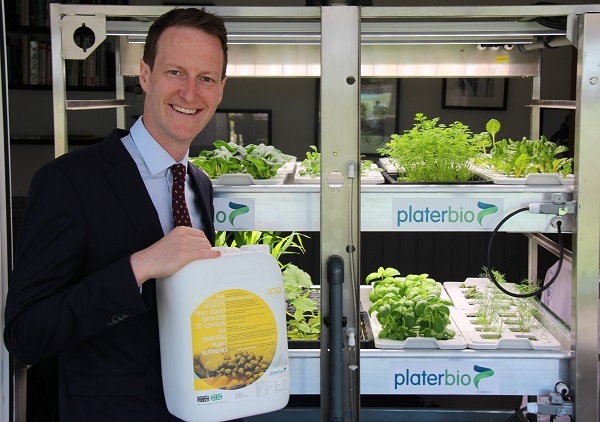 AgriBusiness Global Biostimulant CommerceCon takes place in Arizona USA on 30th -31st July where Plater Bio’s Russell Sharp will be presenting. The inaugural AgriBusiness Global Biostimulant CommerceCon event will explore the business of biostimulants through the global distribution chain. The one-and-a-half-day conference takes place on 30th -31st July at JW Marriott Phoenix Desert Ridge Resort & Spa in Arizona, USA and has been designed to help drive expansion decisions and evaluate how to best explain and market biostimulants to customers. The biostimulant market is projected to reach $2.9 billion by 2021 and whilst many companies have embraced the biostimulant buzz and developed solutions that help growers increase yield, many along the supply chain have yet to master the most important aspect of the business, turning a profit. The event has been created to assist the understanding of how biostimulants can positively impact the bottom line. Industry experts will disclose the best ways to boost business with biostimulant products and how they can be integrated with conventional chemistries. Russell Sharp, Technical Director of Plater Bio, will offer insights on “Marketing Biostimulants: Best Practices.” Traditional agchem products must have mounds of research and efficacy data before they make it to market. While regulatory agencies might not require that companies provide the same information to bring biostimulants to market, smart manufacturers have found that an R&D-focused, margin-minded approach creates increased buy-in from end users and distributors/retailers. Dr Sharp will explain how to fine-tune communication and branding to capitalize on the science behind a product’s efficacy.